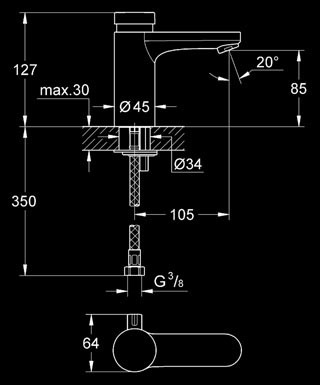 The Walcro 100R metered self closing pillar tap is attached to the mains with 15 mm diameter BSP inlet. Made with DZR brass with chrome finish. 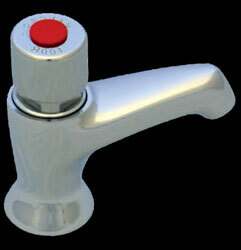 The tap comes with internal flow control, spout strainer and a no-hold feature with water saving auto shut-off. Ideal for school basins. 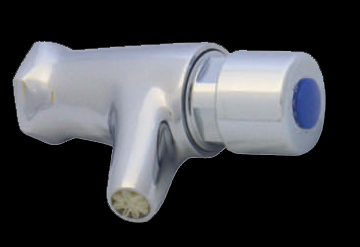 The Walcro 101R metered self closing bib tap is attached to the mains with 15 mm diameter BSP inlet. Made with DZR brass with chrome finish. 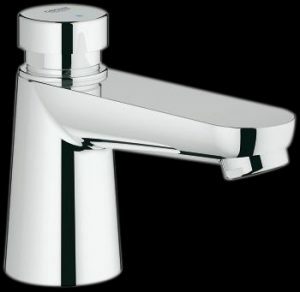 The tap comes with internal flow control, spout strainer and a no-hold feature with water saving auto shut-off. It is ideal for washing boots when installed against a wall. The Walcro 101RH metered self closing bib tap is attached to the mains with 15 mm diameter BSP inlet. Made with DZR brass with chrome finish. 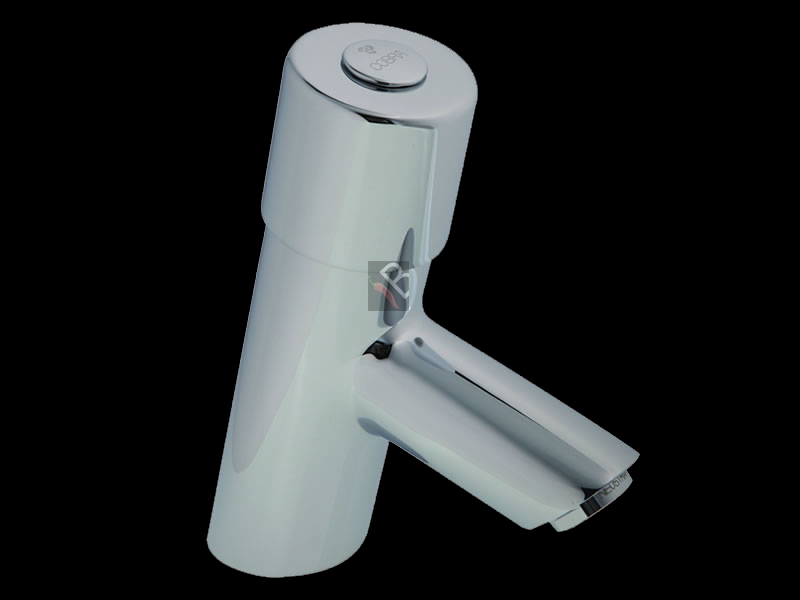 The tap comes with internal flow control, spout strainer and a no-hold feature with water saving auto shut-off. Self-closing basin mixer 1/2’’, with single hole installation. 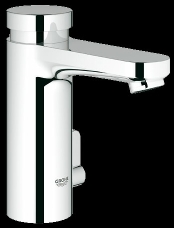 The metered tap comes with temperature limiter and flow limiter 5.7 l/min. The flow time is set to 7 sec at the factory but is adjustable to 15 or 30 sec. 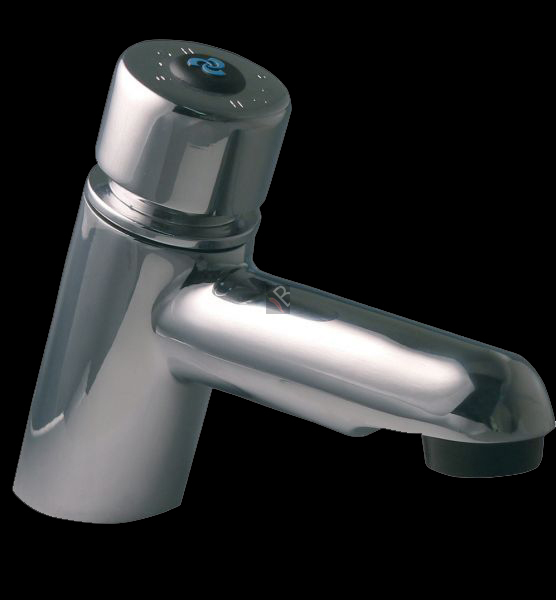 The metered tap operates between pressure range 0.5 to 6 bar. Comes with flexible connection hoses, dirt strainers and non-return valve. 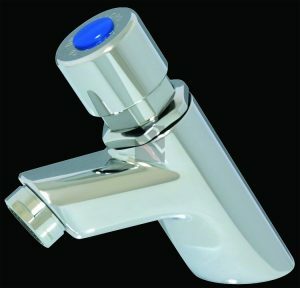 Self-closing basin mixer 1/2’’, with single hole installation. Flow limiter 5.7 l/min. The flow time is set to 7 sec at the factory but is adjustable to 7,15 or 30 sec. 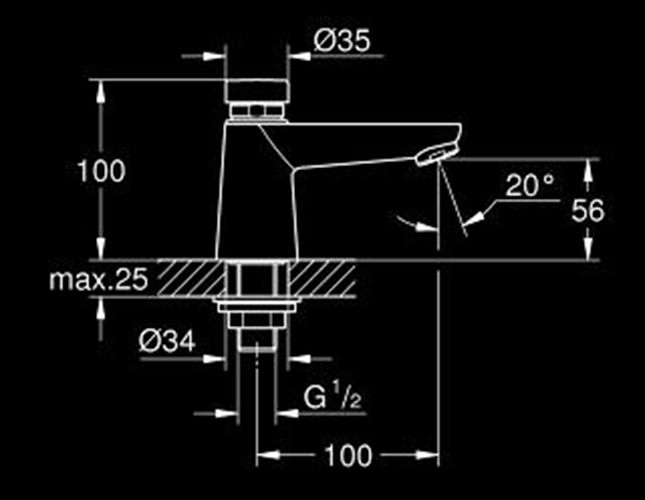 The metered tap operates between pressure range 1 – 6 bar. Comes with flexible connection hoses..